Cheapest iPhone 6S Plus repair cost. Best iPhone 6S Plus repair shop in Singapore. Choose Mister Mobile. Because we do it better, because we do it safer, because we do it with a smile! iPhone 6S Plus repair Singapore. One of the cheapest iPhone 6S Plus repair shop in Singapore. Simply scroll down further to find the exact iPhone 6S Plus repair cost. Click on the yellow boxes. They provide more information on the different types of iPhone 6S Plus repair Singapore. We can repair all iPhone 6S Plus issues within 60 minutes. 90% of all iPhone 6S Plus repair in Singapore can be done in our shop. Wrong model for iPhone repair Singapore? Need to repair for another iPhone model? Visit our Product Pages for iPhone repair instead. iPhone 6S Plus Screen Replacement is common and frustrating. Many of us end up with a cracked screen after dropping it, causing a faulty display. It is essential and affects your usage. iPhone 6S Plus repair cost at our shop is cheap which completes within 60 minutes. Replace your iPhone Crack Screen before it worsens. There are 2 different Grades. Grade A iPhone 6S Plus Screen is as good as the original, while the Grade B iPhone 6S Plus Screen is OEM, which is faded in color and cracks more easily. To buy or enquire further? Buy this if the iPhone 6S Plus screen or digitizer has a noticeable crack. We can do free check-up for you if you are unsure. You can also refer to our iPhone screen replacement blog post. Your iPhone 6S Plus screen is functional. iPhone 6S Plus screen display or LCD does not have lines or marks. Your iPhone 6S Plus powers on and charges. It has never been sent for any iPhone repair in Singapore. Enquire further if iPhone 6S Plus doesn’t charge when plugged in with a power supply. There may be no display because your charging port is faulty instead of the screen. Do refer to our iPhone Charging Port product pages for more information. The iPhone 6S Plus screen touch is unresponsive. Your iPhone 6S Plus LCD may be faulty instead. 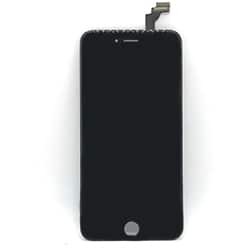 Refer to our iPhone LCD Replacement product pages for more information. iPhone 6S Plus LCD Replacement is common and frustrating. Many of us end up with cracked screen after dropping it, causing a faulty display. It is essential and affects your usage. iPhone 6S Plus repair cost in our shop is relatively cheap which completes within 60 minutes. There are 2 different Grades of iPhone 6S Plus LCD. Grade A iPhone 6S Plus LCD is as good as the original, while the Grade B iPhone 6S Plus LCD is OEM, is faded in color and cracks more easily. LCD has a noticeable crack. We can carry out a free check-up for you if you are unsure. You can also refer to our iPhone screen replacement blog post. Your iPhone 6S Plus screen is not functional. iPhone 6S Plus screen display has marks or lines. Enquire further if the iPhone 6S Plus display has no marks or lines, and it is touch-sensitive. You may require screen replacement instead. Refer to our iPhone screen Replacement product pages for more information. Our iPhone 6S Plus battery is A grade, as good as the original. iPhone 6S Plus battery repair cost in our shop is cheap which completes within 30 minutes. iPhone 6S Plus battery replacement is common in Singapore because batteries deteriorate. Buy this if your iPhone 6S Plus battery life does not last as long as before. It is normal for the battery health to deteriorate. Enquire further if the iPhone 6S Plus cannot power on. The iPhone 6S Plus battery percentage does not increase despite showing that it is charging. The charging port may be faulty instead. 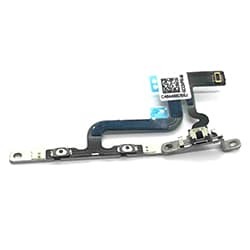 iPhone 6S Plus Charging Port Replacement is a simple process which completes within 30 minutes. iPhone 6S Plus repair cost in our shop, is also cheap. It will not affect your existing data 99% of the time. Buy this if there is no charging icon when charging. The microphone of the iPhone 6S Plus is not working. The charging port includes the microphone as well. Your iPhone 6S Plus only starts charging when the cable is plugged at an angle. You tested that your iPhone 6S Plus doesn’t charge with a working cable. It was working and fully powered prior to this. Enquire further if iPhone 6S Plus heats up despite being idle. Your iPhone 6S Plus does not respond despite charging it. There may be no display because your iPhone battery is faulty instead of the charging port. 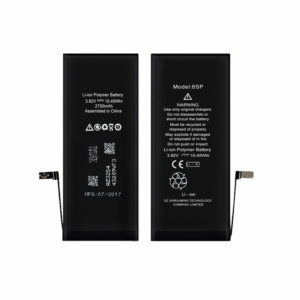 Do refer to our iPhone Battery replacement product pages for more information. The iPhone 6S Plus cannot turn on despite charging with a working cable. 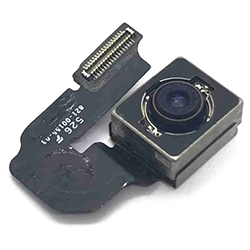 Buy this if your camera is affected by a broken iPhone 6S Plus camera lens. There are spots appearing on the images. The iPhone 6S Plus camera app freezes after you snap a photo. iPhone 6S Plus camera is unable to focus. Enquire further if both the front and the rear camera is not working. Your motherboard may be faulty instead. Please visit our product pages for iPhone 6S Plus motherboard repair Singapore. 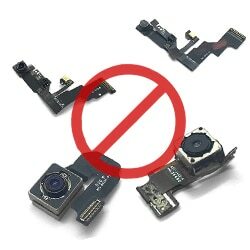 iPhone 6S Plus Camera Removal is a popular service in Singapore. It is the norm for most Singapore boys who are serving NS (National Service). This is because most army camps in Singapore have designated red zones which prohibit the possession of camera smartphones. The requirements of army camps are vastly different. Some camps allow only sandblasting, while some of them allow camera removal. Others allow covering up of the camera lens from the inside with a piece of material. It is important to check your camp’s guidelines carefully before approaching us for iPhone camera removal. It is important for reliable iPhone camera removal service with Mister Mobile to adhere to the rules of these army camps. Come to Mister Mobile for reliable iPhone 6S Plus camera removal service which adheres to the rules and regulations of NS (National Service). We have provided iPhone camera removal services at cheap iPhone 6S Plus repair cost in our shop. Countless customers in Singapore are satisfied with our services. How is this camera removal service like? The iPhone 6S Plus camera will be returned to you after removal – you can easily re-install the camera with service providers in the future. Both the front and rear camera will be removed at a one-time cost. No need to pay twice to remove both cameras. You can choose between camera removal, sandblasting, or cover-up of the camera lens from inside. Our iPhone 6S Plus camera removal service adheres strictly to the guidelines of Army camps for NS. Come to us for a peace of mind. iPhone 6S Plus motherboard repair in Singapore is common and frustrating. The motherboard of your phone is essential and affects your usage. 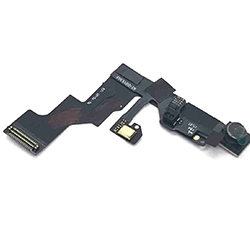 Most iPhone 6S Plus repair shops in Singapore do not have the skill to fix iPhone motherboard. Their iPhone 6S Plus repair cost for motherboard repair is much more expensive as well. Not Mister Mobile. Audio IC, Power IC, U2 IC, Touch IC, Touch disease repair, shorted motherboard, hard disk, NAND IC, iPhone cannot power on. iPhone 6S Plus cannot charge. Repair your phone with us for a peace of mind. Buy this if your iPhone 6S Plus experiences symptoms such as- unable to charge, cannot hear during calls, cannot power on, the touchscreen is unresponsive. Depending on which iPhone 6S Plus parts require repair, your chances of data recovery will be the highest at Mister Mobile. Our skilled technicians will ensure that your data is intact as much as possible. 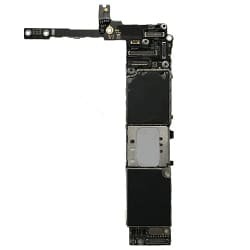 iPhone 6S Plus motherboard replacement will cause data loss. iPhone 6S Plus motherboard repair may not. As far as possible, repair your iPhone 6S Plus motherboard instead of a replacement to rescue your phone data. The quoted price is for motherboard repair only. iPhone 6S Plus motherboard replacement is expensive and not worth it. Call our shop in Singapore for the cost of repair for water damaged motherboard. iPhone 6S Plus Water Damage Repair in Singapore is common and frustrating. Water corrosion is the worst iPhone 6S Plus repair in Singapore. It is difficult to estimate the iPhone 6S Plus repair cost. We can only diagnose the iPhone 6S Plus Water Damage repair in our shop. While a little splash may not damage your phone, most smartphones cannot survive even 10 minutes in the rain. Note that the iPhone 6S Plus repair cost includes chemical wash only. It does NOT include iPhone 6S Plus repair cost for parts replacement. Chemical wash will lengthen the lifespan of your iPhone. Do not leave your phone un-serviced after coming into contact with water – the symptoms may appear after time. Buy this if you prefer having a fast iPhone 6S Plus water corrosion repair in Singapore, with a cheaper repair cost in our shop compared to Apple service centers. iPhone 6S Plus Water Damage Repair is most effective if it briefly drops into fresh water. Enquire further if your iPhone 6S Plus drop into seawater or salt water. The chances of repairing iPhone water damage is slim in this case. You suspect that there are faulty parts besides general water damage. Note that there are a few parts which may affect the iPhone 6S Plus Touch ID or home button. We will do a free check for you. The prices may vary slightly. Based on our experience, the success rate of iPhone 6S Plus Touch ID repair in Singapore is about 70%. There will be no charges if we cannot fix your phone. 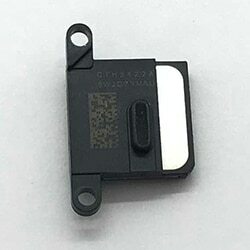 Buy this if your iPhone 6S Plus home button is not responding and needs replacement. The fingerprint sensor is not working even after you have set up your iPhone 6S Plus Touch ID. You are unable to set up your iPhone 6S Plus Touch ID, even though you have never repaired your phone before. The home button responds sometimes. Enquire further if the problem arises after software updates. You may require a software update instead. You have replaced the iPhone 6S Plus Home button before. 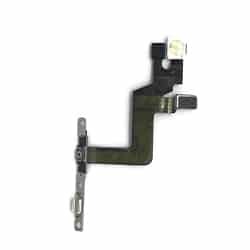 iPhone 6S Plus speaker or hearing port replacement is common and frustrating. The speaker of your phone is essential and affects your usage. Speaker replacement is a simple process which completes within 30 minutes. 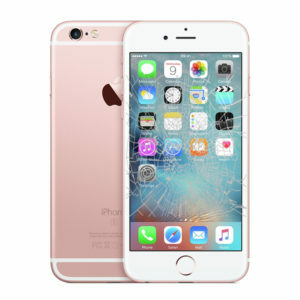 The iPhone 6S Plus repair cost in our shop is relatively cheap too. Repair your phone with us for a peace of mind. Buy this if you cannot hear during calls. During calls or audio playback, there seems to be crackling noise. Your iPhone 6S Plus doesn’t ring even though it is not in silent mode. The iPhone 6S Plus loudspeaker rings at a very low volume even though it is at max volume. Enquire further if the front camera is not working too, because the front camera connects to the speaker. The front camera affects the iPhone 6S Plus speaker. 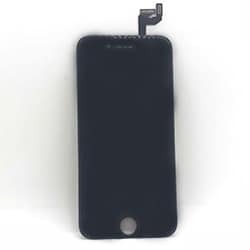 Visit our Product Pages for iPhone Front Camera Replacement here. All of the loudspeaker, microphone, and speaker are not working during calls. Your iPhone motherboard Audio IC may be faulty instead. Please visit our motherboard repair page. iPhone 6S Plus Button replacement is common and frustrating. The button of your phone will affect your usage. 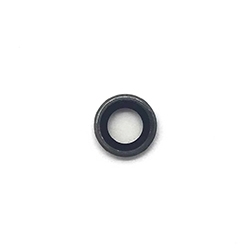 Button replacement is a simple process which completes within 30 minutes. iPhone 6S Plus repair cost in our shop is also relatively cheap. Buy this if you hear the clicking sound but the iPhone 6S Plus does not respond. When you hit on the power or volume button, you do not hear any clicking sound. The iPhone volume or power button responds sometimes. Either one of the power button, volume up or volume down button is not working. Enquire further if the iPhone housing is bent or dented near the button. Please call us for more information. You need to replace the physical button which is a different part. The volume button is working but there are problems with sound. 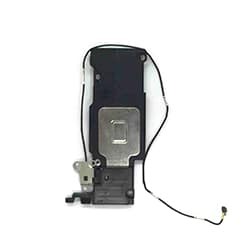 Please visit our Product pages for iPhone Loudspeaker Replacement instead. With CaseTrust Accreditation, you can be sure of fair business practices for handphone repair. Ever bought defective phone iPhone 6S Plus repair parts from shops in Singapore? Were there lots of inconveniences by dishonest providers? Good news! Now you don’t have to spend so much time checking your product for flaws. No need to pour over the fine print of contracts. You can proceed with your handphone repair confidently. Find the phone repair you need. Add to Cart and proceed to Check-out. No payment is required for online check-out. Enter the promo code found at the check-out page for $3 off. Applicable for all online orders only. Drop by to get your phone fixed. Pay for your iPhone 6S Plus repair cost in our shop after we have fixed your phone. Not sure what you need? Feel free to Call, WhatsApp or SMS for a fast quotation! Inquire now at 96816352 or hit the WhatsApp button! We can solve all your mobile phones issues, such as battery problems, charging, camera, and LCD screen. Also for software, water damage, and power on problems. There are 30 days of warranty under Mister Mobile’s repair and exchange policy. 90% of repairs can be done on-the-spot. iPhone 6S Plus Repair Singapore. 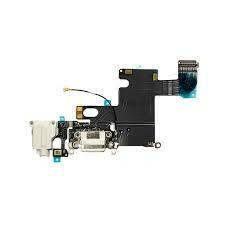 iPhone Screen Replacement, Replace Battery, Motherboard, and iPhone repair Singapore. Common issues for iPhone 6S Plus repair in Singapore include iPhone 6S Plus screen replacement, iPhone 6S Plus battery replacement, and iPhone 6S Plus charging port replacement. Also iPhone 6S Plus motherboard repair Singapore, camera replacement, and water damage repair. All iPhone 6S Plus repair costs in our shop are inclusive of labor repair fee.